4S for India was unveiled. The prices received contempt across the nation and the various social media outlets. Fans across the country vented their annoyance, by talking about anything and everything that is cheaper than the new iPhone 4S, including a quick trip to Bangkok or Dubai. The iPhone 4S has been made available for pre-order through Airtel (doesn’t list the 64GB version) and Aircel at similar prices – 16GB for Rs.44,000, 32GB for Rs.50,900 and 64GB for Rs.57,500. Looking back, iPhones have always carried outrageous price tags in the Indian market. Remember when the iPhone 3G was officially launched in India in August 2008? The handset featured a 30K+ price tag, even then. Although it was a huge sum for a smartphone then, Apple fans (who could afford it) bought the device, sooner or later. Today, the 64GB iPhone 4S carries a price tag I wouldn’t want to pay for a phone or tablet, but it states - Sold Out on Aircel’s page and didn’t make it to the Airtel page. The question arises, would a price sensitive Indian market spend more than half a lakh on a smartphone? Amidst the blame game and looking at all the aspects, we tried to decipher 5 Reasons why iPhones carry such a high price in India. Wow, you own an iPhone! Sounds familiar, isn’t it? As a brand, Apple products enjoy a high position across the globe. It has a strong fan base, which is the reason why the devices are sold even with high price tags. In India, you won’t find every other person owning an iPhone, it’s just a small portion that loves and enjoys the device, despite the price hurdles. Seemingly in India, the iPhone has always been an extremely high-end phone, right from the launch of the iPhone 3GS and has found its place as a symbol of class and style. It probably targets a specific audience and enjoys a brand position that also equals the price that a network carrier attaches to it. We all are well aware that when any device is imported to India, additional charges have to be dealt with. The launch of iPhone 4S also faces the recent depreciation of rupee against dollar and other applicable taxes. Apple has a tradition of bundling its devices with carrier plans to earn a portion of the contract, even a year after the device is sold and its next iteration has reached the market. Three years back, it was unlikely if a customer would sign a 2-3 year contract. This time around when iPhone 3G/3GS were launched, they were SIM locked, but there was no contract. This could have been the reason why network carriers ensured that they don’t undergo any losses after the device is sold and stretched the price tag as much as possible. 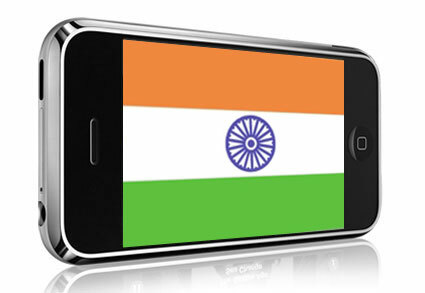 There is no denying that Apple doesn’t see India as a potential iPhone market, yet. Apple may possibly not even have an India specific strategy to sell more products. It could be even waiting for a wider outreach of the 3G services or launch of 4G services. The Airtel page doesn’t display the 64GB iPhone, while the Aircel page says it sold out. The question is, how many 64GB models were even ordered by the network carriers? According to an IDC research, statistically more iPhones are shipped to Norway than India in a year, which has a population close to the NCR region. With the latest iPhone landing on the Indian soil, there are several factors that have affected its price like import duties, local taxes and also the depreciation of rupee against dollar. The high price is also triggered by the fact that in India, network providers have to set an affordable data plan. Overall, we still don’t have a major mobile audience using Internet mostly via phones. In the U.S., the 16GB, 32GB and 64GB iPhone 4S is sold for $199 (approx Rs.10,470), $299 (approx Rs. 15,737) and $399 (approx Rs. 21,001), respectively. However, there is a difference in the data plans offered by AT&T, Sprint and Verizon starting at $54.99 (approx Rs. 2,894) to $169.99 (approx Rs.8,949). On the other hand, Aircel promotes it with a two year data plan starting at Rs.950 up to Rs.1,350. There is no subsidization of products by network carriers. For example – AT&T offers the iPhone 3GS at a subsidized rate. You don’t see Airtel doing the same. Due to subsidization, the product becomes cheaper for users in the U.S., as average revenue per users (approximately) for AT&T is $50+ and for Airtel its $8+. However, to give you a fair comparison of the kind of price differences, we’ve taken a Samsung Galaxy S II that sells for around Rs.29,900 in India (maybe, cheaper in some other stores). The same phone, unlocked, sells at a price of $559, which translates to roughly Rs.29,300. The iPhone 4S is rumoured to be launched at a price of $649, which is already higher than the S II. Assuming that there’s a 5 percent import duty on the phone, this should end up in Indian markets at about Rs.35,700. An additional 5 percent of local taxes would still keep the price well under Rs.38,000. So, is the over-hyped iPhone 4S over-priced? The iPad was sold for $499 in the U.S. and priced around Rs. 29,000 in India when launched. The 16GB iPhone 4 was priced at Rs. 35,000 in India and its unlocked version cost $599 which is approximately around 31,000 in the U.S. The 16GB iPhone 4 was priced at Rs. 35,000 in India and its unlocked version cost $599 which is approximately around 31,000 in the U.S. Inspite of the high prices, the popularity of the dainty device doesn’t seem to fade. Talking precisely about iPhone 4S and potential buyers planning to buy it from the international market will have to let go of the warranty. This is unlike the iPad ,which was, quite unusually, priced quite well in our part of the world.